Brilliantly insightful and extremely witty, Dynasties outlines 13 business dynasties who have managed to remain rich and powerful for generations. 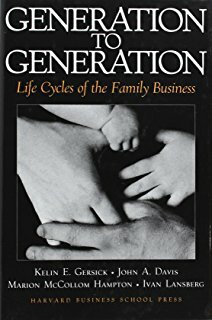 It is written by David Landes .The book starts with the observation that majority of the large companies are family owned businesses and goes on to argue that the world needs family businesses for its own good. The 13 dynasties covered by the book span across Europe and Americas with the only exception of the Toyodas who are Japanese. The book enables us to witness the heights of achievements that man can reach through sheer hard work, ingenuity and dedication. But with great fortune comes great distractions. We repeatedly witness the later generations of these dynasties succumb to the temptations of fun and frolic, extravagance and the opportunities to have celebrity playmates ultimately leading to the decline and downfall of these hugely successful empires. • Banking covering Barings, the Rothschilds and the Morgans. Common threads that Unite them all! We see a lot of common themes and phases in the journey to success, across all the dynasties. Similar factors that made them successful and some others that made were their limitations. Almost all the dynasties had extremely humble beginnings. The founders came from poor backgrounds and had modest means. Yet what set them apart was their hunger for success and their dedication. So we see Natah Mayer of the Rothschilds slogging away in his single minded pursuit of making money. We meet the ever resourceful JP Morgan and witness the ingenuity of Henry Ford. We see how Sakichi Toyoda relentlessly improved the power looms making them competitive till he gave his son the challenge of making a world class automobile. We come across Rockfeller who combined hard work with remorseless business acumen to become one of the richest men in the world and then there is impeccable foresight of the Guggenheims to spot an opportunity in copper right in the middle of the great gold rush. All the dynastic enterprises are about family first and business later. The baring brothers helped their younger brother Charles who had a penchant of getting into financial trouble. We see the Rothschilds marrying among themselves to keep outsiders out of the family. Andree Citroen, when shunned by banks went to his family who helped him financially to start a business which would later grow into an amazing success story . We hear the sad story of the Wendels cobbling up finances to take control back from the French govt when their firms were nationalised, an effort which was fuelled more by an emotional connect than any sound business logic. The book also touches upon the negative aspect common across most of the dynasties which was reluctance in allowing the female family members taking an active part in business. One can only imagine how much more profitable these dynasties would have been had merit presided over gender while choosing an heir. Almost all the dynasties chose marriages as a path to improve their social standing. This holds truer in Europe where nobility was given a higher status than wealth acquired through enterprise. 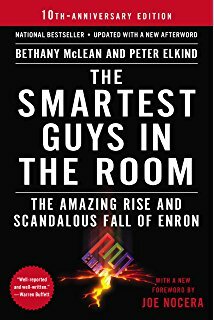 The book is filled with interesting anecdotes that make it even more interesting because of the witty tone of the author. You as a reader will get a feeling as if you are chilling in a café talking to a man bubbling with interesting stories. For example, the anecdote of Nathan Rothschild’s terse reply to a haughty peer of the realm. Picture Nathan Rothschild early in his career, toad-like in appearance, hard at work at his London desk. A peer of the realm is brought in. Nathan intent on his ledgers invites him to take a seat. Offended, the visitor boasts about his high standing. “Take two seats” Nathan shrugs. Or the anecdote of the meeting of Andrew Carnegie and JP Morgan aboard a ship. Andrew Carnegie had sold his steel business to coalition of JP’s and Andrew confessed that maybe he should have asked for a hundred million more, to which Morgan gave a put-down reply: “ And you would have got it”. Another incident where Philippe Rothschild is boasting of his sexual appetite and saying “ I fell in love eight times a day”. Invest in your kid’s upbringing and make them responsible. Edsel’s untimely death because of Henry Ford’s strict parenthood and constant nagging is a grim reminder that your children are your most valuable asset. The Toyodas could make a world beater car precisely because it was the dream of a father who invested in the upbringing of his son and made him capable to achieve that dream. The Citroens were one smart family with a special emphasis on children’s education. Frugality and financial discipline are the hallmarks of any long term sustainable wealth. Fortunes are built and demolished on this aspect. The book gives an insight into the prevalent social norms in Europe and America. In France, there was always a superfluous pursuit of status over wealth (the country did pay heavily for this twisted tendency). If money gives you the freedom and autonomy to stand against the prevalent norms, don’t hesitate!